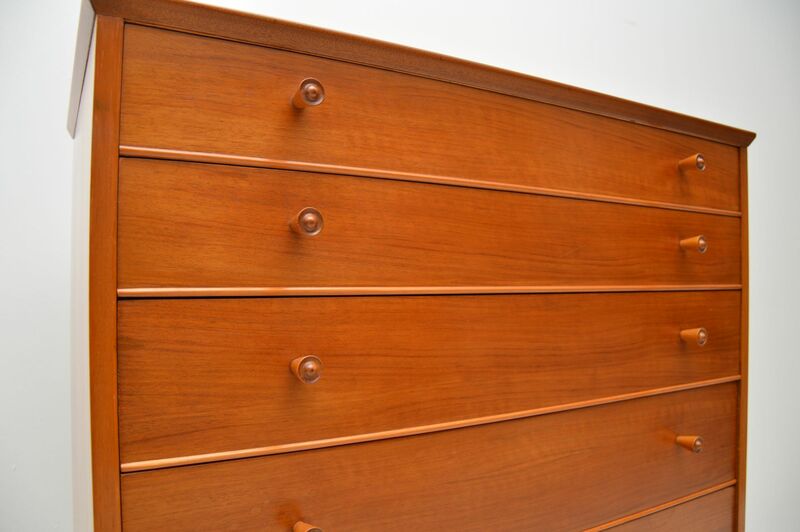 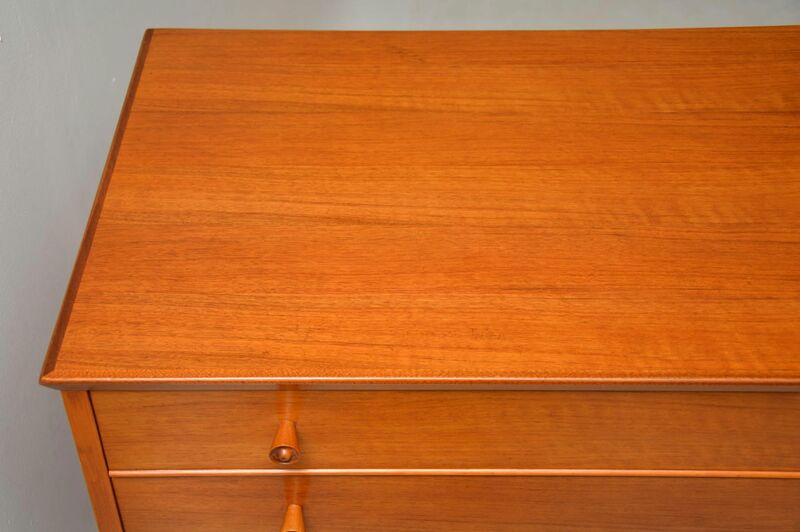 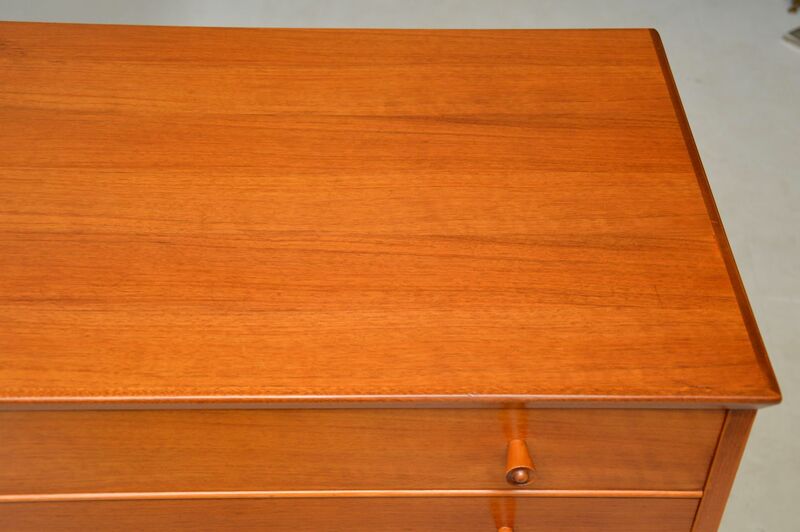 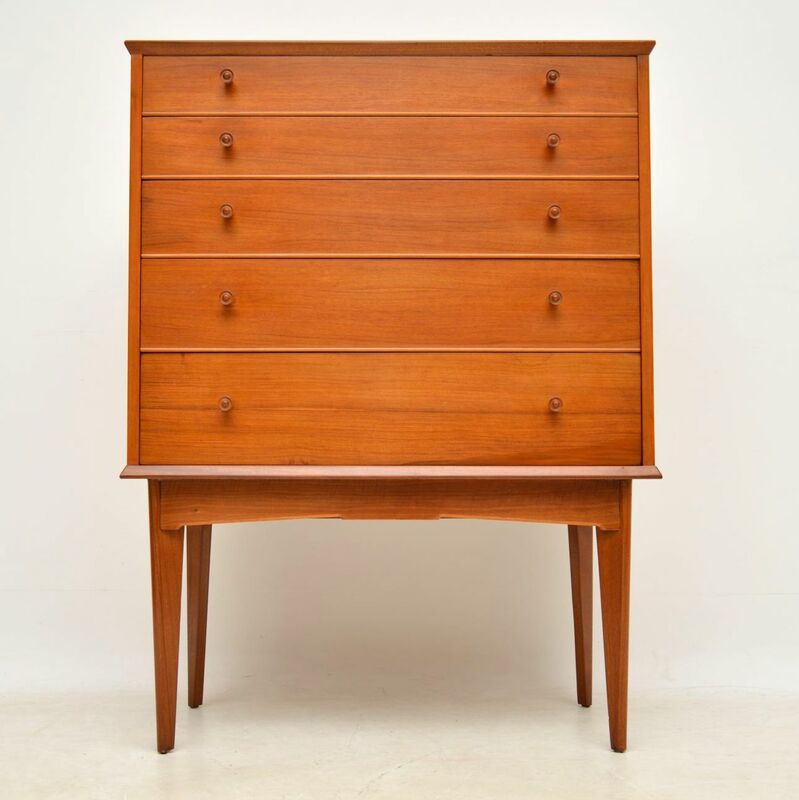 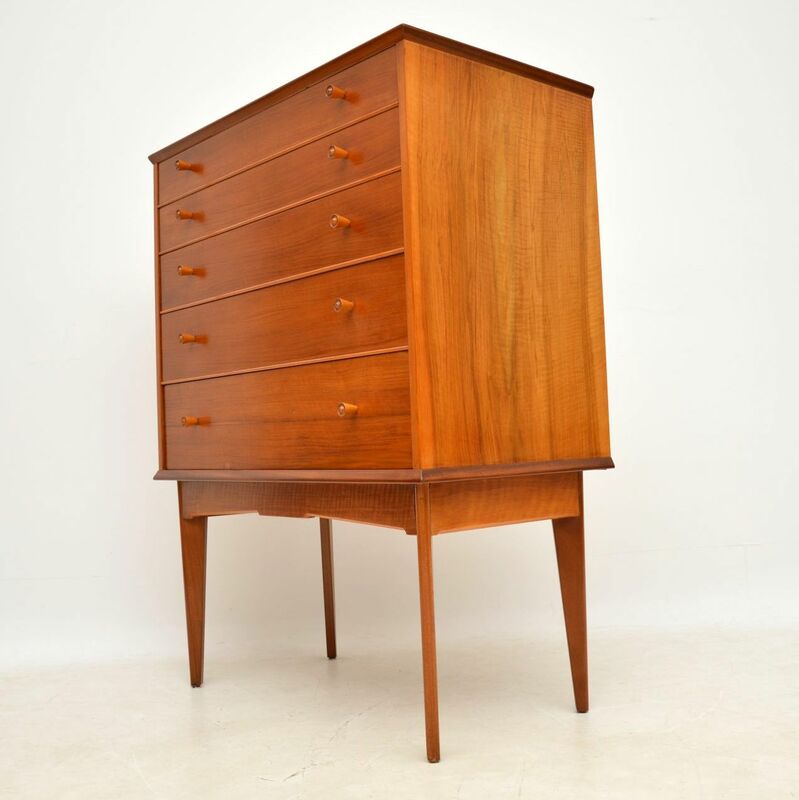 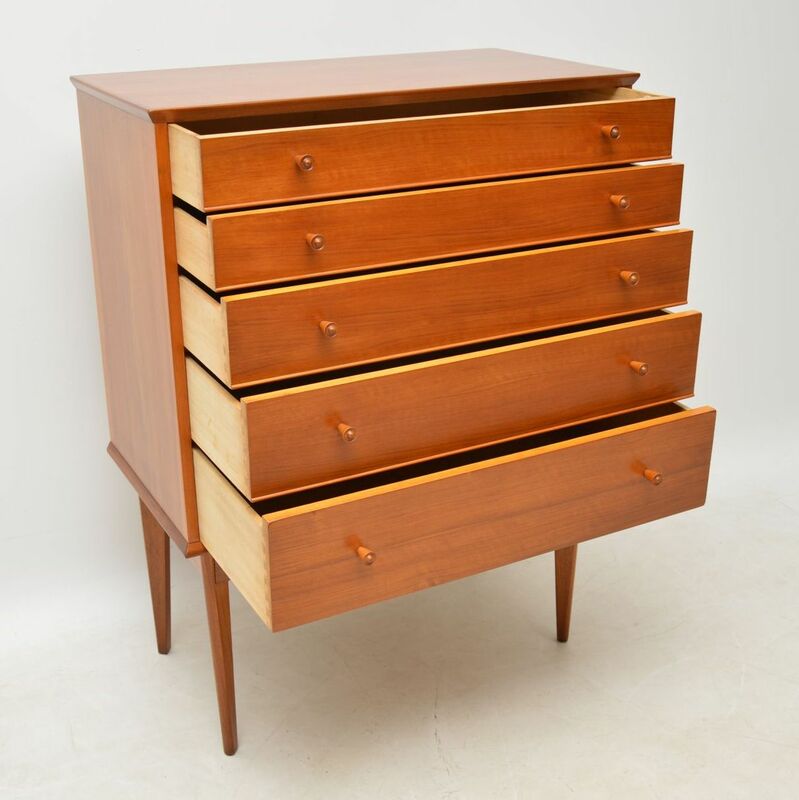 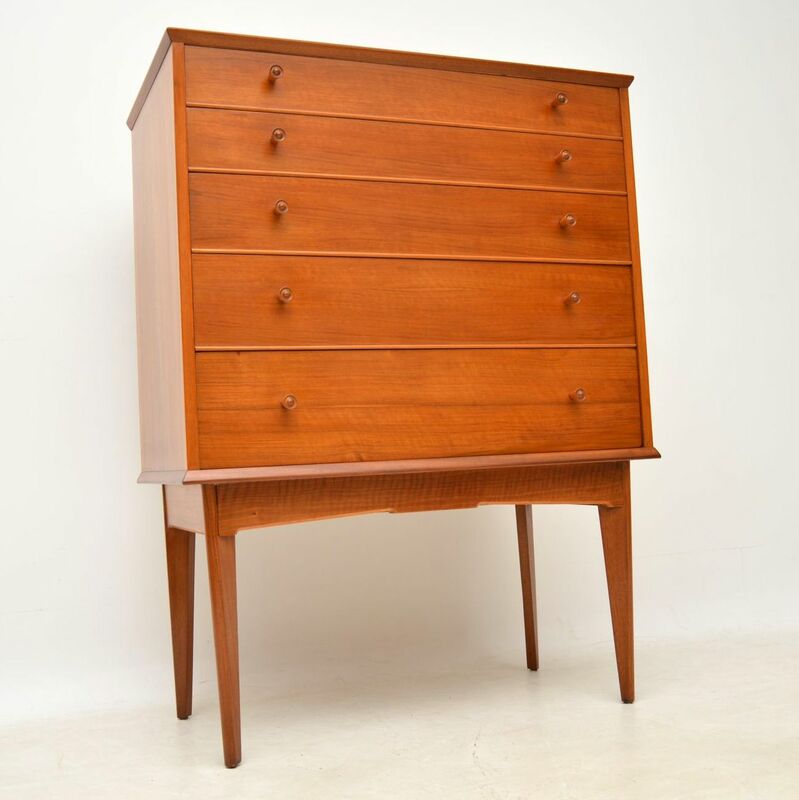 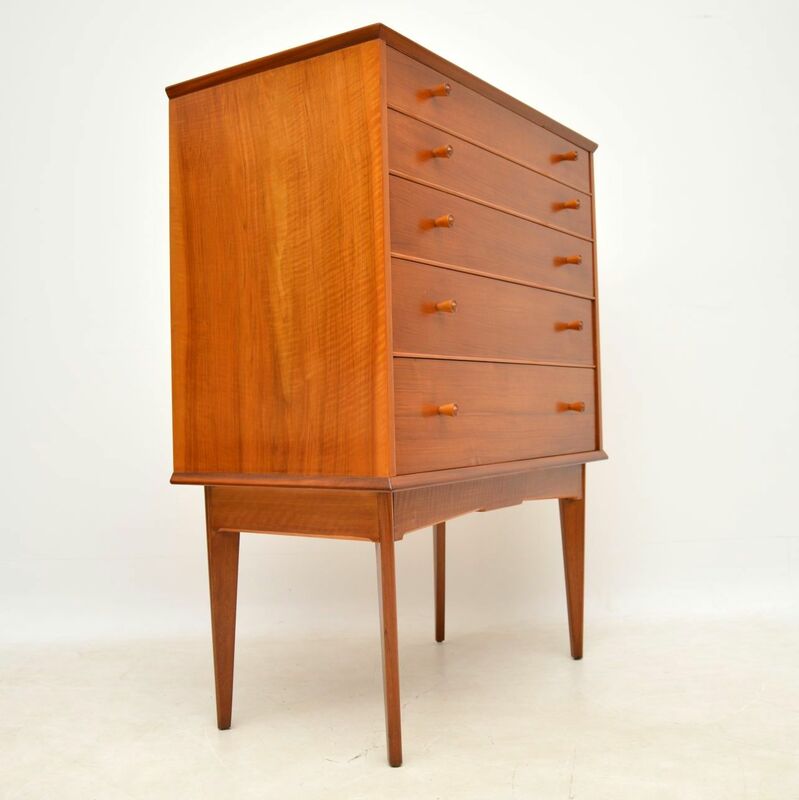 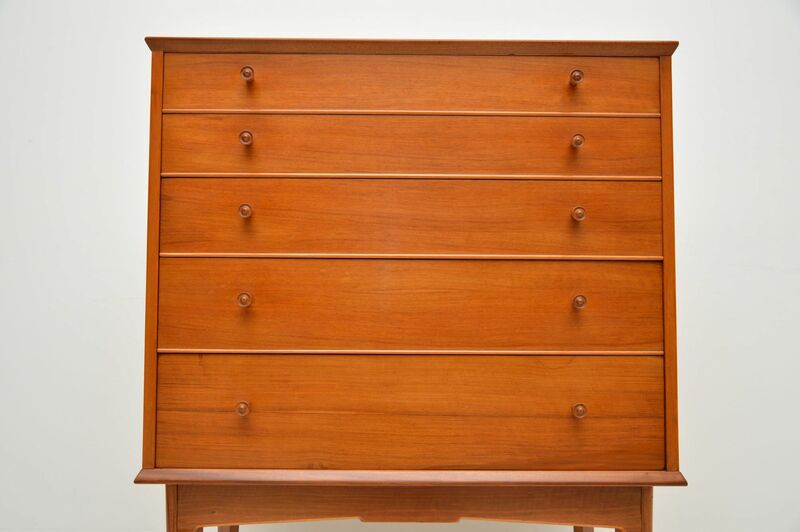 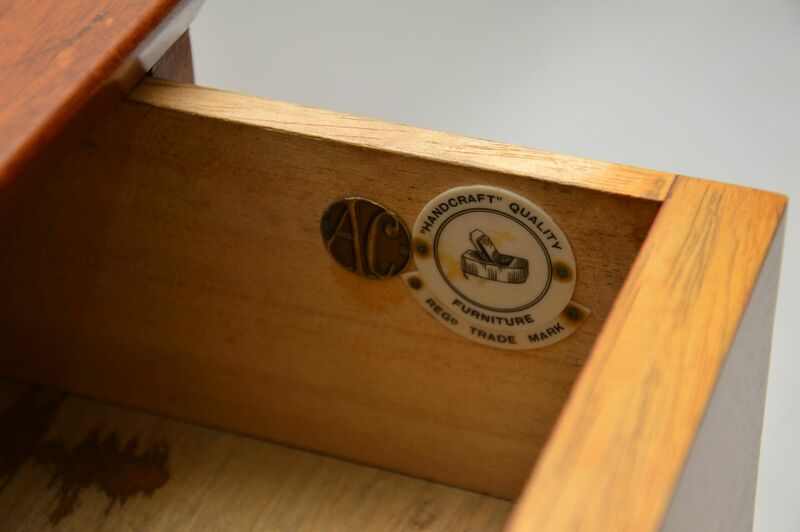 A top quality and very nicely designed vintage chest of drawers in walnut, this was made by the high end manufacturer Alfred cox, it dates from the 1960’s. 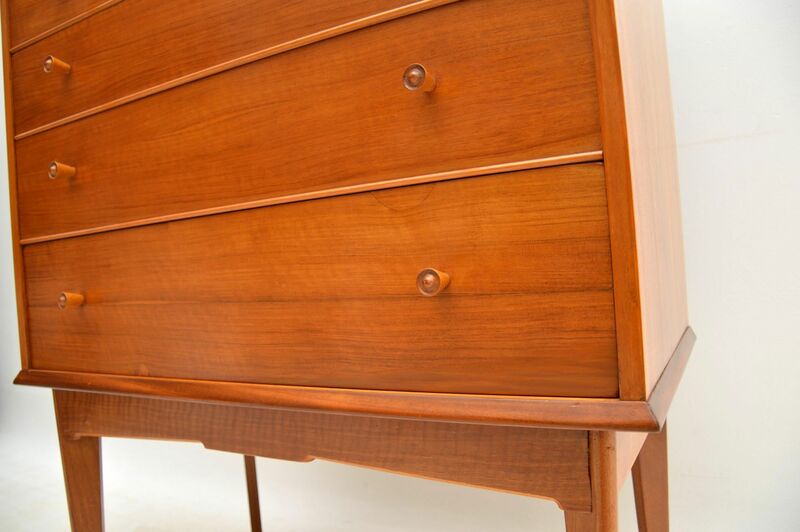 It offers lots of storage space, and sits on elegant splayed legs, so it doesn’t have a bulky feel. 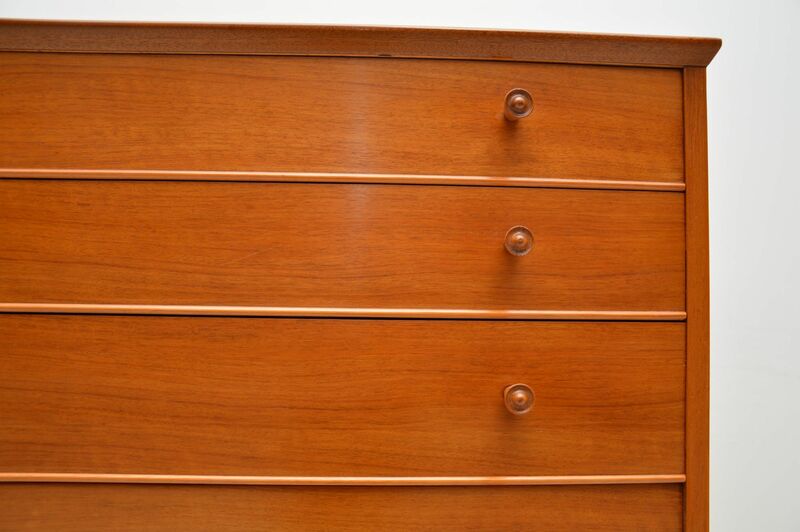 e have had this stripped and re-polished to a very high standard, the condition is superb throughout.